We all know that stopping gout pain should be a short-term measure until we can get uric acid under control. But with increasing warnings about the perils of anti-inflammatory drugs, it’s time to look at other ways to reduce gout pain. Pain affects everyone differently, so you have to find what suits you. 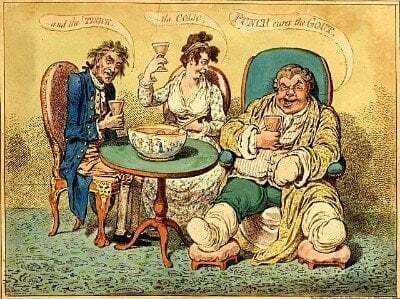 Today, I’ll look at some new science that suggests we might forget about gout pain. After the review, I’ll give you some links to extra information that might help you determine if distraction techniques will help your gout pain. I’ll also give you links if you find that this type of gout pain relief is not for you. Before I review the pain management study, I should explain my sentence about anti-inflammatory drugs warnings. I support rheumatologist’s recommendations that Non-Steroidal Anti-Inflammatory Drugs (NSAIDs) are useful for managing gout pain until uric acid levels are brought under control. However, it can be many years before gout sufferers realize they need to reduce uric acid. This means many months at risk of gout attacks until most of the old uric acid crystals are dissolved. This study is not gout specific. However, most pain management techniques for severe pain are relevant to gout sufferers. This study compares the use of pain relief during surgery, and so I believe it is relevant to pain control during gout attacks. Jamie E. Guillory PhD, Jeffrey T. Hancock PhD, Christopher Woodruff MD, FRCPC, and Jeffrey Keilman MD. Compared to the control group, texting strangers reduced the requirement for pain relief by 85%. Pain relief reduction for the other two groups was comparatively less: 77% for texting companions and 49% for playing distracting games. My interpretation is that other clinical settings, though not specified, could certainly include gout. The big question is: will it work for your gout pain? As you can see, this latest science is not gout targeted, and it certainly does not mean that you can throw away anti-inflammatory drugs for your gout pain. However, if you are interested, I suggest you discuss it with your doctor now. If you are not sure what to ask, or if you don’t understand your doctor’s response, please ask in the gout forum. If you do not think that distraction techniques will help you, please see other gout pain relief in the gout treatment guidelines. I’m certainly intrigued by the notion that distraction techniques can help reduce the need for pharmaceutical pain relief. Though my gout is now controlled by allopurinol, I remember that it helped me in the past if I distracted myself by typing this website, and by typing gout forum responses. You can easily try this, simply by getting involved in the gout forums every day. 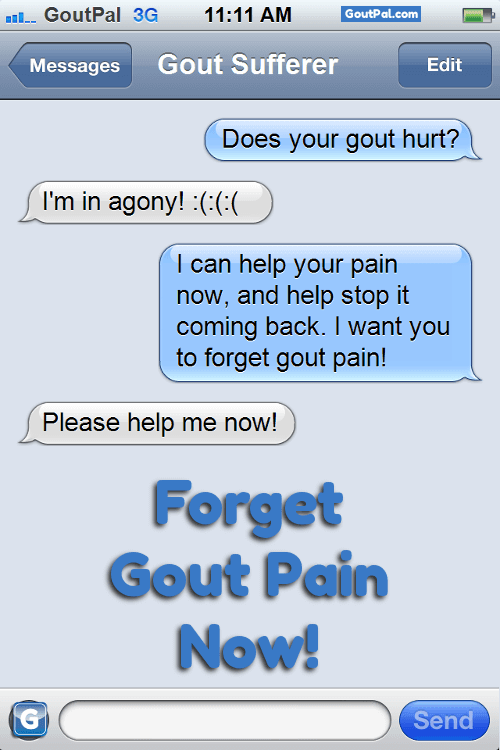 I’ve also thought about introducing a gout text support service. If you are interested in sending or receiving text messages about gout, please share your ideas in GoutPal’s Suggestion Box. Unfortunately, gout is common in the hands, so if your gout restricts your ability to type, would you be interested in a verbal gout support service? I think that it might be possible to set something up with Skype, or other audio/video connections. Again, why not share your ideas in GoutPal’s Forum? The science shows that communicating with other people is an effective way to reduce your reliance on gout pain meds. Start now, and share your thoughts and ideas. If you have any trouble accessing the gout forum or suggestion box, please use the feedback form below.